Wilfrid Laurier University students and Brantford community members are invited to celebrate the Lunar New Year with Laurier International during events taking place from Jan. 30 until Feb. 5. The Lunar New Year, also known as the Spring Festival, is a traditional festival celebrated at the turn of the lunar calendar. Residents of many East Asian countries, including China, Japan, Korea, the Philippines, Thailand and Vietnam, will ring in the Lunar New Year by hosting celebrations, decorating their houses and enjoying family meals together. This year’s theme is “Martial Arts of East Asia.” Students will have the opportunity to learn about different New Year celebrations in East Asia, as well as the history of martial arts in the region. Wednesday, Jan. 30, will feature an introduction to traditional martial arts of East Asia during a martial arts display. Participants can learn Chinese tai chi throughout the day. The event is hosted by Laurier’s History Students Association. Date and time: Jan. 30, 10 a.m. to 4 p.m. Location: Research and Academic Centre, West lobby, 150 Dalhousie Street, Brantford. Later in the day, Master Ling Zhong Xie will demonstrate Chinese Internal Martial Arts. Zhong Xie is the founder and director of the Chinese Medial Clinic and Yellow River Tai Ji Quan School of Canada in Brantford. A teacher for more than 30 years, Zhong Xie is a master of Tai Ji Quan and Qigong. Date and time: Jan. 30, 5 p.m. to 6 p.m. Location: Laurier Brantford YMCA, Studio B, 100 Water St., Brantford. 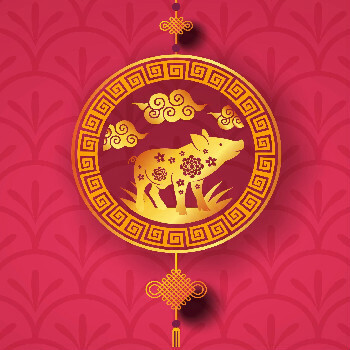 Join Laurier International for delicious Chinese dishes, Chinese lantern decorating, Mandarin lessons, lion dancing, musical performances and door prizes during a Lunar New Year dinner on Thursday, Jan. 31. All are welcome to attend the free event. Please register in advance. Date and time: Jan. 31, 6 p.m. to 9 p.m. Location: Market Square basement, 1 Market St., Brantford. Tickets: Free, available from Laurier International, Dalhousie Centre, DC138. All are welcome to enjoy tea and desserts during a drop-in being hosted by Laurier English and Academic Foundations students and Global Engagement Student Ambassadors on Tuesday, Feb. 5. Date and time: Feb. 5, 11:30 a.m. to 1 p.m. Location: Laurier International, Dalhousie Centre, DC138, 183 Dalhousie St., Brantford. In Waterloo, international students are invited to a drop-in lunch on Tuesday, Feb. 5 to celebrate the Lunar New Year. The event is free for international students. Date and time: Feb. 5, 11:30 a.m. to 2 p.m. Location: Laurier International, Arts Building, Room 2A01, 75 University Ave., Waterloo. For more information about Laurier International, visit Global Engagement and Exchanges.